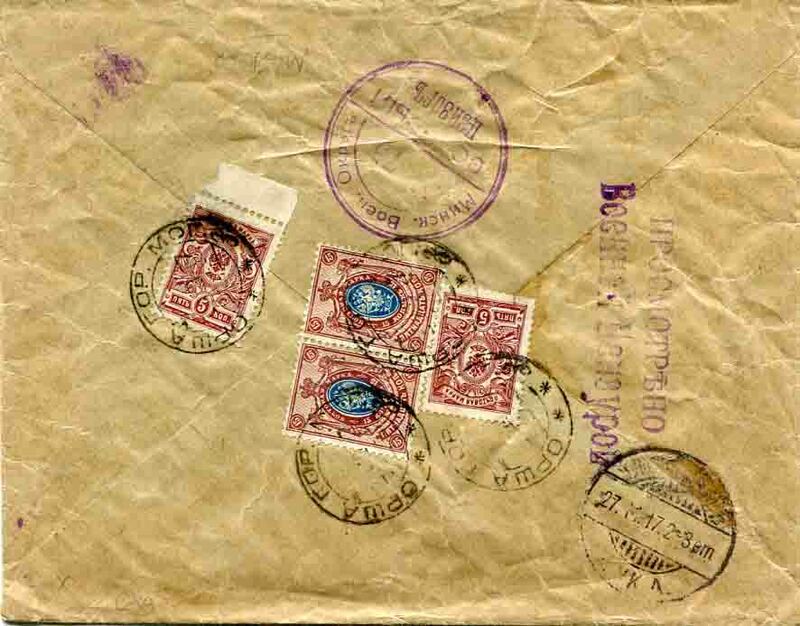 Russia: 1916 (28 January). 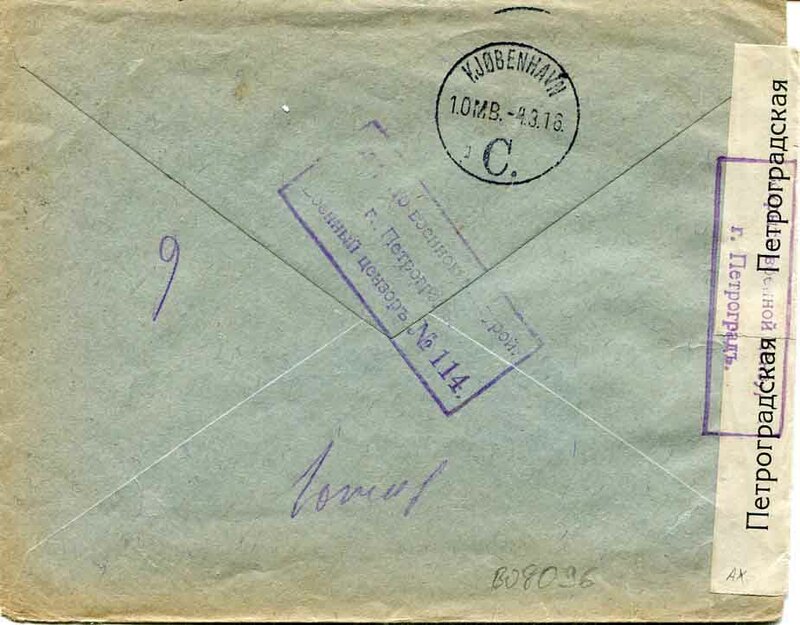 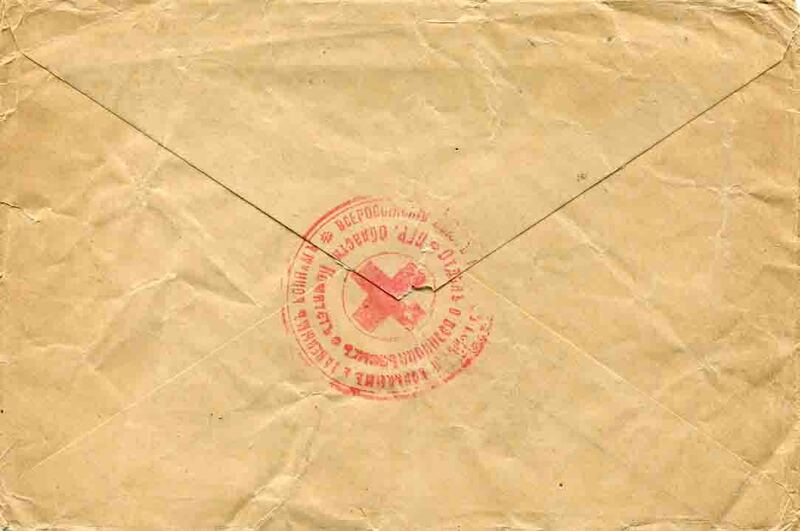 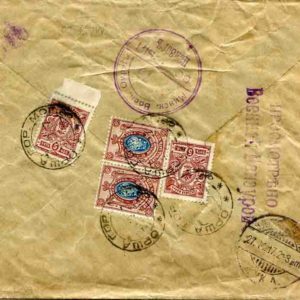 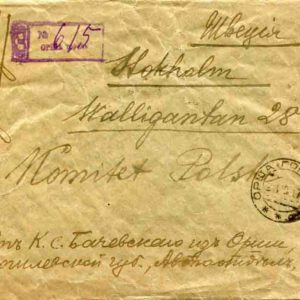 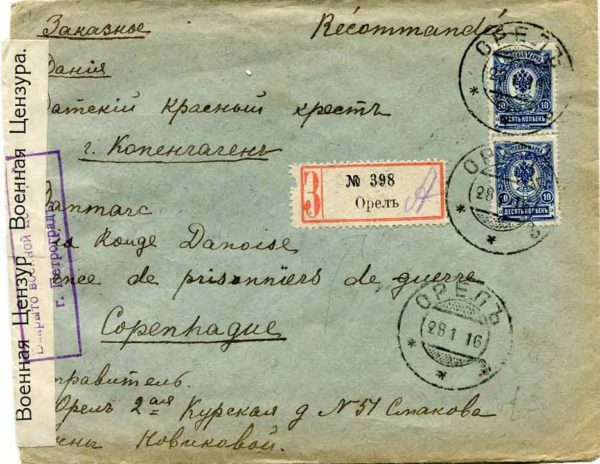 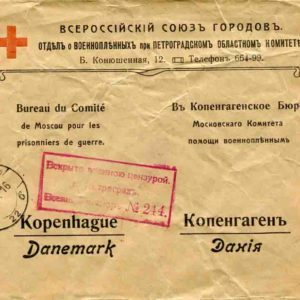 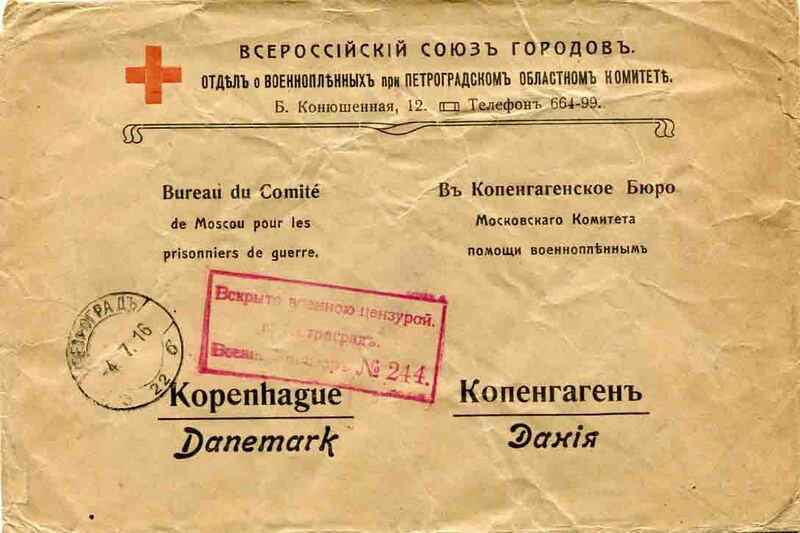 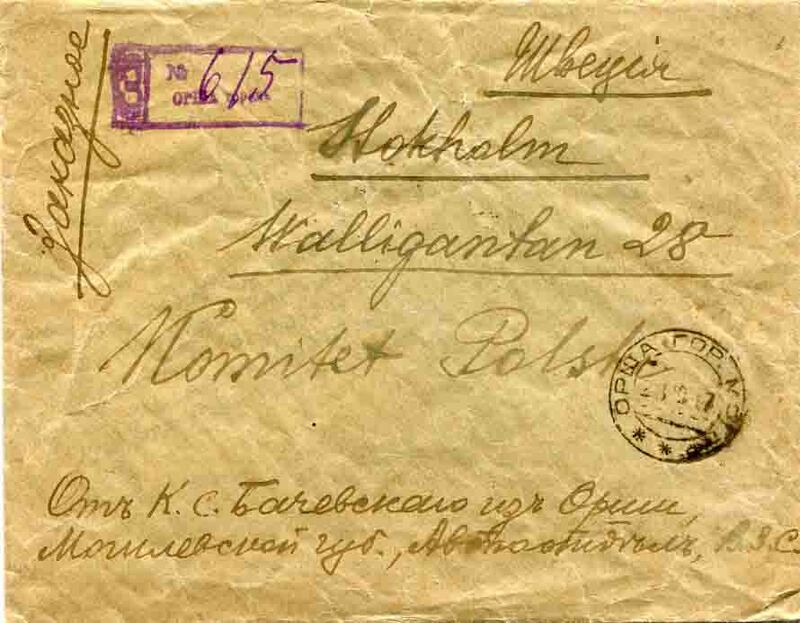 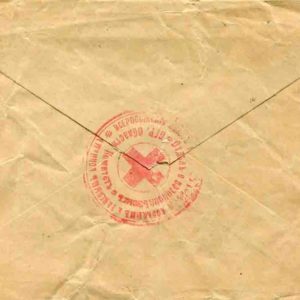 Registered cover to Red Cross at Copenhagen franked with pair of 10k and tied by Oryol datestamps. 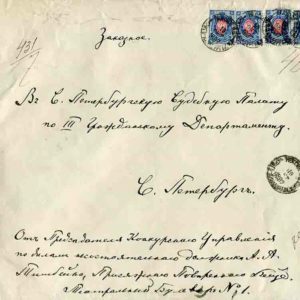 Reverse Petrograd censor cachets, white censor label and 4 March Copenhagen arrival cds.